HOUSTON (KTRK) -- An arrest has been made in the fatal stabbing of a woman in her northwest Harris County home. Mauricio Navarrette-Torres, 18, is charged with capital murder in the death of 37-year-old Christine Martinez. Officers came to a home off Great Elms Drive after the victim's two sons found their mother stabbed to death in her bedroom on Feb. 3. 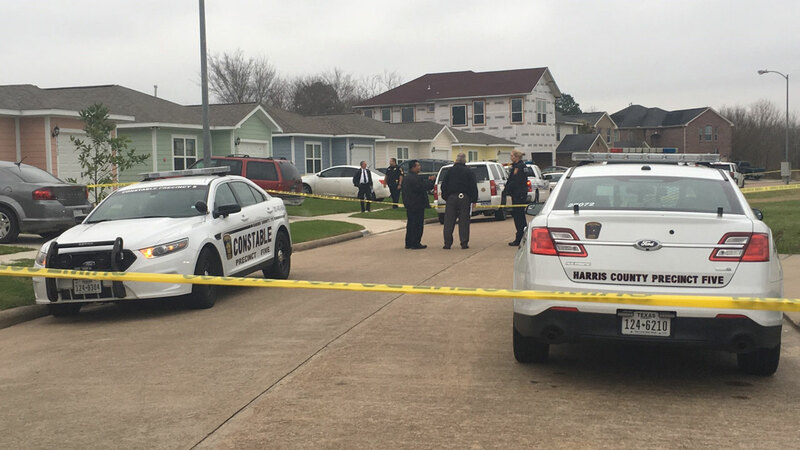 Original report: Son finds mom's body covered in blood in NW Harris Co.
One son left the home for only half an hour to pick up his brother from work. When they got back to the house, one son went into their mother's bedroom and found her stabbed multiple times. Police said the bedroom window was broken. They also found a white plastic bag in the backyard. Police learned several items were taken from the home and at the time asked the children if they knew who might know about the missing property. They mentioned Mauricio Navarrete-Torres. Neighbors we spoke with are familiar with the suspect and said it appeared he was a friend to the family. They added the Martinez was the kind of person who would give anything to someone in need. Neighbors are glad to hear someone has been arrested, but they are still saddened by the lose of their friend.